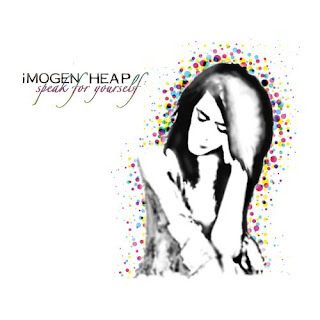 I bought the CD from Imogen Heap, "Speak For Yourself." If you are like me and loved Depeche Mode through the 80's and 90's, you will love this CD. I am so impressed by her sound. It's not Depeche Mode but her way of making music (keyboards, voice sampling, etc.) is very familiar. Immi, as her website calls her, "re-mortgaged" her flat in the UK to fund this album. Although she is very unique, her sound is so enjoyable. Her voice is a soft yet solid. She has amazing pitch/tone quality and control. This CD inspires me to work on my music more. Check out her website and listen to the album. Also, check out YouTube's videos. Funny, I just posted the same thing on my blog.